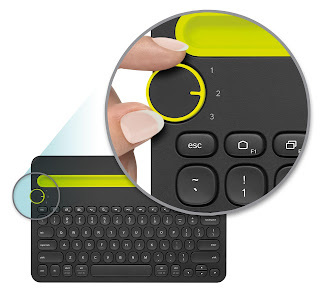 The Logitech Bluetooth Multi-Device Keyboard K480 is a wireless gadget that lets you use one keyboard to type input into multiple devices.It works with iOS, Mac, Windows and Android devices. 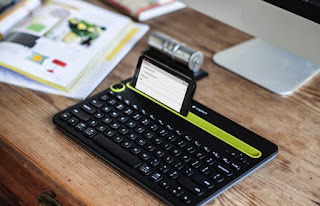 Integrated cradle Holds most phones and tablets at an optimum angle for reading while you type. 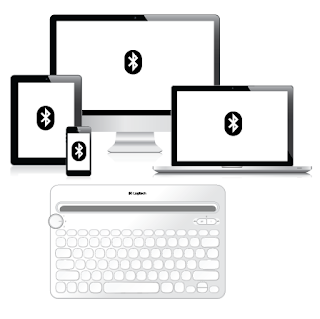 Switching between paired devices is done using the selection dial located just above the escape key. When you want to swap from phone to tablet, you just nudge that dial. 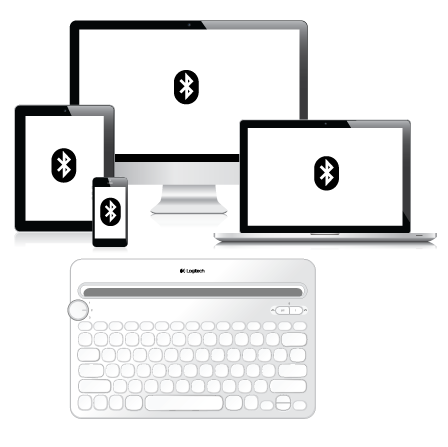 You will be surprised at the speed the keyboard disconnected from one device, then connected to another. Any delays in the connection process are negligible, with the longest delay being experienced when connecting to the iPad. Of course, you’ll still need a mouse or a trackpad if you’re pairing it with a PC, since there’s no pointing device built in to the K480. The integrated cradle holds your phone or tablet at just the right angle for you to read while you type. The key arrangement is designed for multiple operating systems, with split functionality for the likes of the “alt” and “cmd” keys for Windows and OS X, respectively. For mobile devices, the top row of keys offers shortcuts for the home and back keys found on Android and iOS devices, as well as media controls and a search key.